Our Powador TL3 Park units are transformerless inverters with an output voltage of 480 V. This caters for a frequent need in designing large-scale solar power plants that require connection to external transformers. 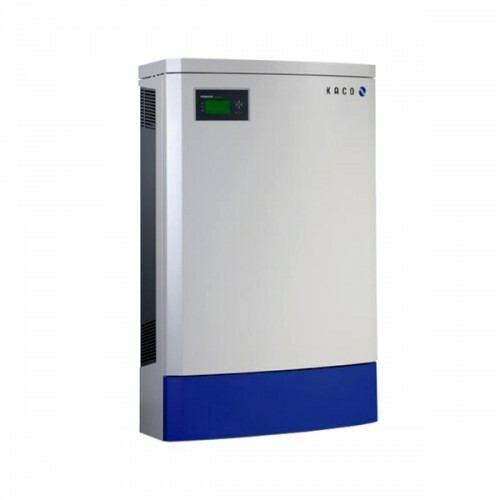 The peak efficiency of this solar PV inverter is 98%. A European efficiency of 97.9% for the Powador 48.0 TL3 Park make it powerful workhorses in your quest for maximum energy yields. XL version: even more cost-effective. In addition to the M version, the Powador Park units are available in three more versions: XL, XL-F and XL SPD 1+2. The XL version rounds off the features that make these solar PV inverters the optimal choice for decentralized PV system designs, even up to utility-scale applications. The integrated string collector with string fuses and overvoltage protection opens up significant cost advantages. 4 strings can be connected per MPP tracker with the Powador 48.0 TL3 Park, and even 5 strings per MPP tracker of the Powador 72.0 TL3 Park. This allows for cost-effective, clearly arranged cabling. Our XL-F version comes with fuses at the plus and minus DC connections. The XL SPD 1+2 version includes surge protection devices type 1+2 placed before each MPP tracker.